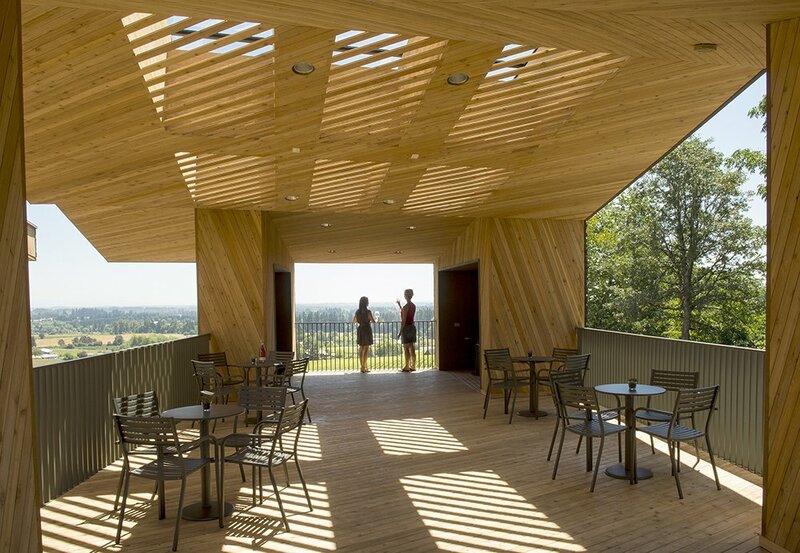 The new 5,000-square-foot wood-framed building was created for a founder of Oregon’s winemaking industry. 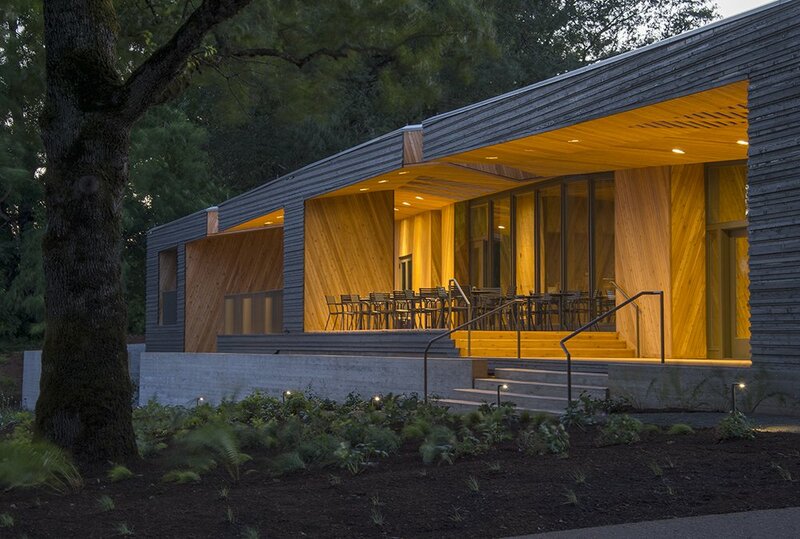 In addition to a tasting room with wine bar and lounge, the building includes a kitchen and dining room, library, wine storage, and a sunken courtyard. The unique roof and ceiling shape were created using custom plywood box beams, with top and bottom chords shaped to follow the desired roof and ceiling lines. These beams cantilever 6 m+ (20’+) over a terrace, leaving dramatic open spaces that are not typically created with wood-framed structures. SCIA Engineer was chosen as the analysis package for the roof to accommodate the non-orthogonal, irregular design. Engineers utilized CAD drawings generated by the architect to lay out roof framing, which was then imported directly into SCIA Engineer. 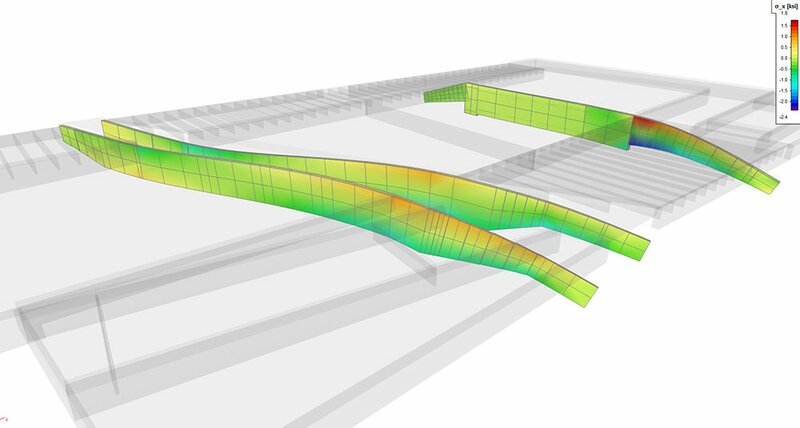 Fully modeling the plywood box beams with their varying depths created both a visual reference- useful for both the engineering and architecture teams- and a more accurate understanding of anticipated roof deflectionsunder gravity, snow loads, and wind loading.